All artwork here is copyright Cubicle 7 Entertainment. Links below. It's a question I have been asked frequently at conventions, through email, and on Facebook. And after nearly 10 years of it, I'm still writing horror, so perhaps the question is all the more relevant. So, let me take you to a dark place and tell you how I use fear in writing horror fiction and games. And I'll illustrate this rambling with art taken from the book I’m most known for, Shadows Over Scotland (Cubicle 7). So, I have been writing horror in one vein or another for years. During that time, my work has been neatly divided between writing prose and writing for games, but always the focus of both has been on exploring the darker side of the human experience. Yes, even in games... you would be surprised--or maybe you wouldn't--by how effective games can be for exploring what makes us tick. 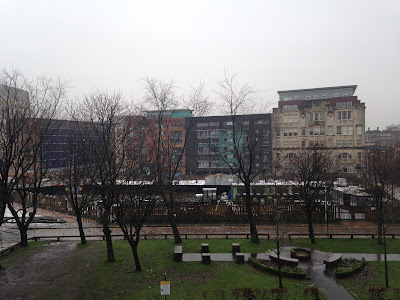 I'm currently in the process of writing a novel set in 1920s Glasgow that follows the disturbing experiences of two brothers recently returned from the First World War. 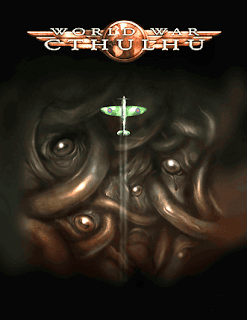 The book is a mix of horror fiction and historical fiction which most Call of Cthulhu roleplaying gamers will be very familiar with. 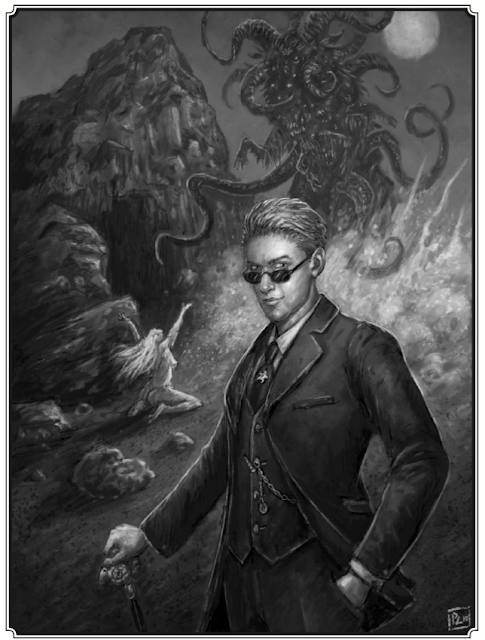 Additionally, I'm awaiting the publication of three different scenarios through Chaosium, the publisher of Call of Cthulhu (now in its 7th Edition after 30 odd years--go Chaosium!). I'm also eagerly awaiting the publication of Cubicle 7's Cthulhu Tales narrative card game which I had a hand in, but that's another story. Let's talk about fear for a moment... Fear is a universal human emotion. It is part of our biology, an involuntary response brought on by a threatening stimulus. This pattern of cause and effect is used and explored in almost endless variation in literature, film, and games. Indeed, the horror genre trades on this formula, tailoring it and embellishing it to dramatic effect. Some fears are more universal, others less so. Some have a timely significance--for example, fear of invasion and nuclear annihilation largely informed popular culture in America in the 1950s--while others are timeless. My current writing focuses on one of these timeless fears: that is, fear of the unknown. The fear of the unknown, the other, or what may—or indeed may not—be… H.P. 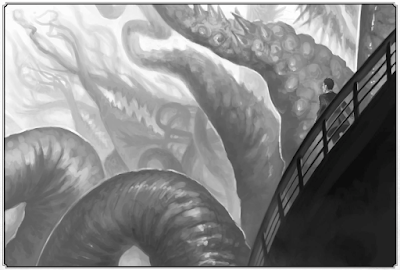 Lovecraft names it ‘the oldest and strongest kind of fear’... I would also argue that it is the most interesting and has the greatest storytelling potential. It is a speculative form of fear, a fear that asks questions. 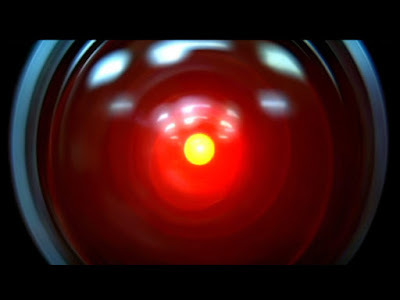 Questions both of the phenomenon that is feared—the ‘cause’ in the cause and effect dyad—and character(s) experiencing the fear—those reeling from its effect. The human side of fear is what interests me most. I am particularly interested in how people, how characters react to fear and how it motivates and/or changes them… or, to put it another way, how it fear transforms the characters. You might argue that there is a literal transformation happening in the artwork above, but that's not what I'm talking about. I'm talking about the transformation that results in the protagonist or player character who witnesses this scene. The one who survives, but is changed forever. You can see rather demonstrably in this example how fear can be used to drive plot and to drive character development. How the protagonist or character responds to this situation determines not only where the narrative goes next, but how they 'grow' from this fearful encounter. And that's the really interesting bit. Let me explain. Experiencing fear of the unknown heightens the senses and we see something from the darkness brought into the light, if only for a moment and perhaps only revealing a crooked claw or the tip of a tentacle like the tip of an iceberg. But in that moment, if done right, it is just enough to bring about a moment of revelation, an illumination of a dark unknown... whatever that unknown might be in the narrative. There is a peculiar honesty in fear… it strips away the artifice and conceptions that we construct for ourselves. It provides us with a moment of clarity. That clarity is incredibly useful as a writer as it provides a crucial opportunity for reflection, for enlightenment and/or revelation… and, ultimately, transformation. What is this villainous character daring us to confront? What challenge does he represent to our values, our assumptions and beliefs? How might we ourselves respond to such horror? How would we manage our fear? 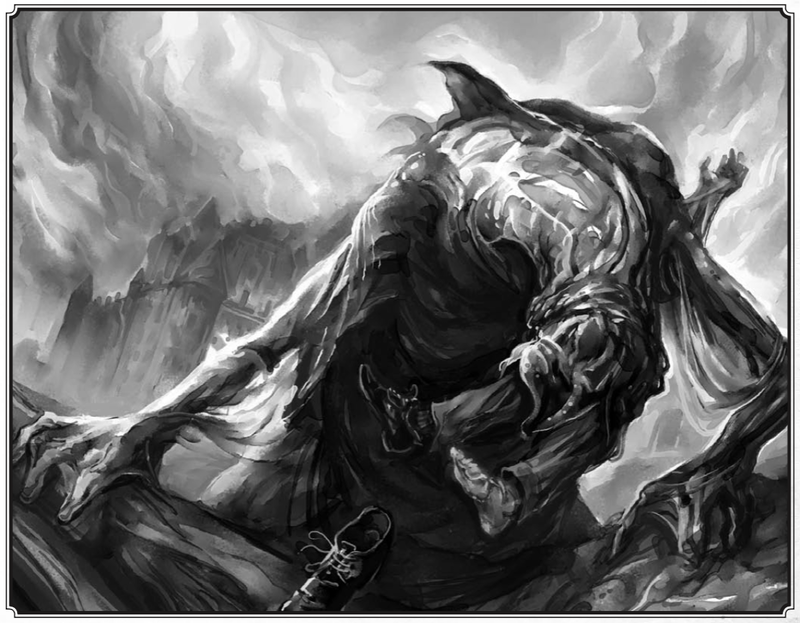 What transformation would surviving this encounter bring about in our understanding? Or truth? Or our way of navigating the ‘real’? Consider another example... In my book, Shadows Over Scotland, there is the suggestion of a scenario where the player characters are aboard an ocean liner. At some point, the characters witness something moving beneath the waves, something that draws their interest. As they look on, they see tentacles rise from water. Someone shouts that it’s a giant squid. Another jokes ‘Where’s Captain Nemo when you need him?’ But soon the waves begin to churn around the boat and the first giant tendrils are joined by an impossible host of unfathomably large tentacles twisting into the sky like Cyclopean skyscrapers. For the characters on that boat, their frame of reference--their sense of what is and isn’t possible--is shattered and--as a game mechanic--the characters’ sanity is tested. 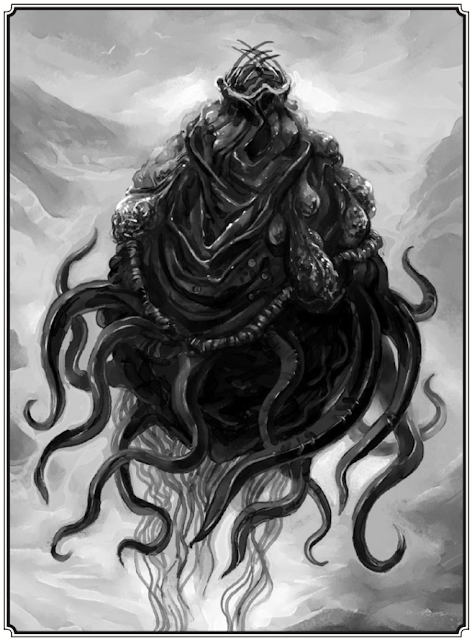 This alien leviathan coming up from the deep is a profound shock--a revelation--and requires the characters and player’s characters to reflect on its significance, reevaluate what they know, and renegotiate their options. That fear then provides us, as writers, with an opportunity: the exposure to fear is transformative. In this context, fear is constructive and developmental, not negative. That said, we don't seek out this particular kind of transformation. In our day to day lives we navigate around fear, we sublimate it, we push it down into our subconscious. It becomes part of our collective unconscious, what Jung called ‘the Shadow’. 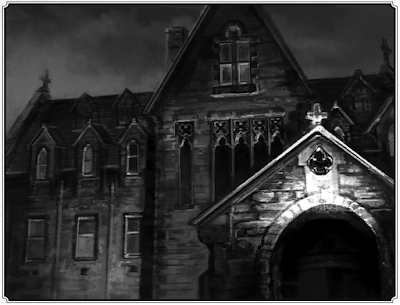 What I find fascinating about horror writing is how it can be used to examine, explore, and test our fears. To safely encounter the shadow and hopefully to find some illumination or useful discovery within the darkness. As a writer, I find that transformative potential incredibly useful. 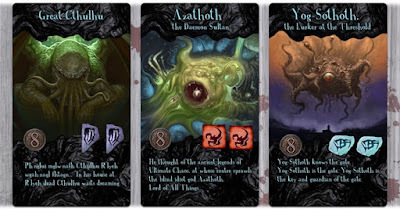 Sure, using fear in horror fiction and games provide us with memorable and thought-provoking experiences, but it can do more than that: fear of the unknown allows me to explore the unknown within us and our relationships to one another or the world. Fear of the unknown gives me the potential to plumb those depths and illuminate those shadows in my fiction and game writing. So why do I write horror? I suppose it is, in part, because I like to ask questions, consider different potentials, and push the boundaries of my own and my audience's understanding. So when you next experience fear, consider it an opportunity, a learning experience... perhaps while running away at top speed! Oliver Baggins, Esq. in repose. 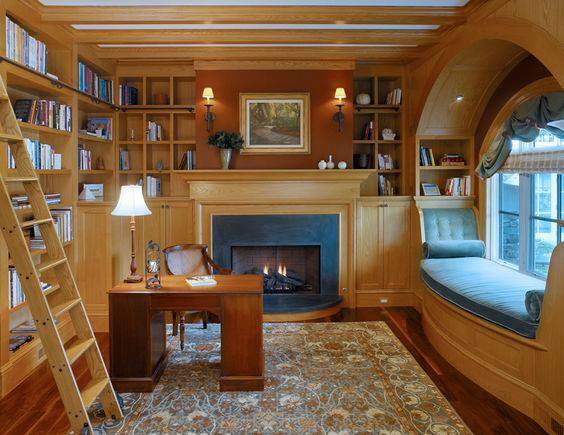 Welcome, Gentle Readers. I had meant to write something in February, but February ran away from me. 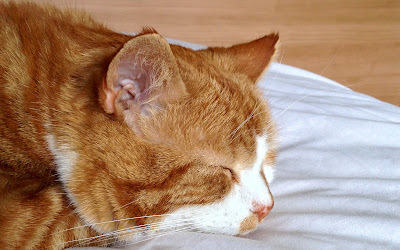 But no, I wasn't sleeping it away like a certain feline who inhabits my home. No, I was luckily making some good progress on my PhD. I haven't talked a lot about my writing process so far, so I thought I might talk about it a little (or a lot!) here. As background, my PhD is in Creative Writing, which means that I am effectively writing a novel and then an exegesis or critical element to follow. It's intended to be a 80k/20k split in terms of words, although I am well over the word count and have been for some time. As the title above suggests, I have not written the novel sequentially. In fact, I started at Chapter 14 and wrote to the end of the book before returning to the beginning. I am now working on Chapter 4 and hope to finish up with Chapter 13 in August or sooner. This is not--emphasis on the 'not'--the normal method for writing a novel and it has caused some consternation with my advisors. I'm likely the first PhD student that they have had who has started a novel in the exact middle of the book. So, the big question is: why? Why did I start in the middle? Well, the real answer for that is that, at the beginning of my time as a PhD student, the action that takes place in the middle of the book is what was foremost in my mind. I had a very clear understanding of what happened in the last half of the book and was a little fuzzier on what came before. So, I started from where I felt the story was the strongest. How many of these infographics have you seen? The good news is that this made the writing 'easier'. I put that word in quotations because writing of any kind is generally hard and not easy. I think people greatly underestimate how difficult it is to achieve quality writing. Good writing is hard. I teach Academic Writing at the University of Strathclyde and this four-word sentence has become something of a mantra. So, yes, good writing is hard, but the question for each writer out there is: how can you make it easier for yourself? There are numerous techniques out there to help writers improve not only the quality of their writing but the mechanics, if you will, behind it. What a lot of writers tend to overlook is their own writing processes. How often have you asked yourself, for example, how do I write? What processes, conditions, and elements contribute to my writing successfully? How can I motivate myself to being a better writer? I suspect, unless you've been to a writing class or two, these are questions you've never openly asked yourself. Now accrual is a term that most people will identify with business, most closely with accounting or banking. The term is equally valid with respect to putting down words on paper. If you read a lot of biographies of, or interviews with, successful writers, you will find that most talk about the importance of producing a draft. A draft, many say, is the essential building block of a good novel. Without the draft, you don't know the thing, you can't begin to understand its shape, its potential, and its significance. So getting a completed draft done is essential. Fine, yes, we understand that, but how is a completed draft achieved? This is where the writing process comes to the fore. Your writing process will determine how quickly and effectively you produce that draft and everything that follows. So it is, perhaps, surprising that so few people consider their own processes to begin with. An awful lot of academic and creative writers seem to attack the problem blissfully unaware of process. In my experience, however, being self-aware in this sense is of paramount importance. Knowing your writing process and being able to change it, adapt it, amend it based on different needs and conditions is what make writing successful--or, at least, more successful. So, let's come back to accrual. At its basic, the idea is that productivity requires sustainable accrual of words--our building blocks. So a good day is a day when the conditions are right, our focus and motivation are there, and we write a good amount of words. What constitutes a good amount of words is a topic for a future post, I think, but here is where accrual really shines. Provided that you have written, that you have succeeded to produce words on a page or words on a screen... you have accrued. Success! And every day that you continue to accrue--either with a small word count or a large one--adds to your success. This idea goes counter to the implicit beliefs of many writers. Many of you out there would not be happy with achieving only 100 words a day. But sustain even that amount over 10 days and you have 1000 words. Say you are quite happily reaching 500 words a day, then after 10 days you have 5000 words. No small feat. In terms of productivity, what matters is that words are accrued sustainably across a number of days. You don't have to hold out for the perfect conditions where you can write 5000 words in one day--something that might only happen once a month for some. But you can be happy and keep yourself motivated by continuously accruing words on the page. Much of this does come down to motivation. I see a tremendous amount of writers who demotivate themselves by setting unrealistic targets (e.g. 2500+ words every day) and feel distraught when they are unable to reach those targets. The idea of being happier with less might seem backward in our culture currently, but for me and a large number of the people I teach, it is one of the few ways to achieve more writing. No one person's process will be the same as another, so your mileage may vary, as they say, but certainly this principle of accrual seems to work very well indeed for writers who lack the time and resource to set aside whole days or weeks for writing. I would urge you to try it out. What can it hurt? 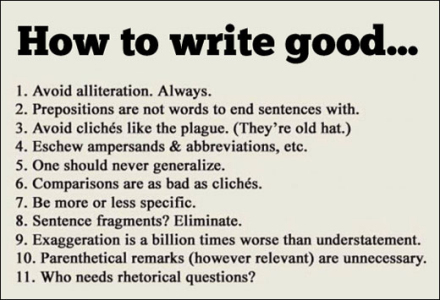 The same, I would argue, can be said for the structure of your writing. So, yes, I started my novel in the middle. I did it for the simple reason that I felt strongest about my ability to tell the story from that point. I got words down on the page. Success! Not without its own perils, admittedly, but success! I did, for example, struggle for some time to hold the whole novel in my head and come up with a strong first chapter. In fact, I wrote it six completely different ways until I hit upon one that worked, but that is often the way with creative writing. I guess what I am really advocating here are two things: one, as quickly as you can begin to reflect on what works and what doesn't work for you as a writer. 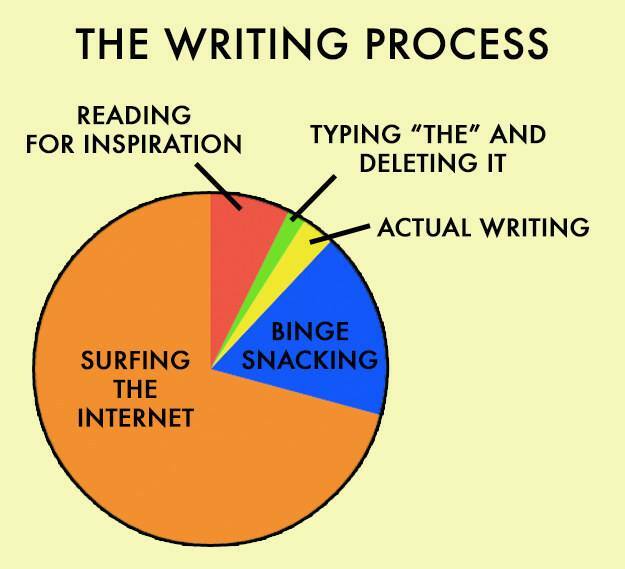 Determine your writing process. Consider conditions (e.g. environment (a library or coffee shop), stimulus (music or silence), time (day or night), and other factors) and mechanics (e.g. free writing, outlining, brainstorming, writing in big chunks or small, etc.). But above all, learn what makes you a better and more productive writer. Second, do not be overly informed by other writers--including myself. Do it your own way. Just because Successful Writer X writes 1500 words every morning doesn't mean that such a pattern will work for you. Don't be afraid to write 'differently'. The point is... to write. Each of us writers is an individual with individual needs and abilities. Take confidence from that. There is no right way to write. I've now seen innumerable numbers of different methods that people use. Find the one that works for you. Right, back to my own book. I'll end this rant here, but I do encourage all of you to learn and develop your own writing process to the best of your ability. Now, get out there and write! To say that last year was full to the brim with work would be an understatement. With working full time at the University, doing a PhD part-time, and still finding time to write and complete a number of game-writing projects, I was... well, more than busy. 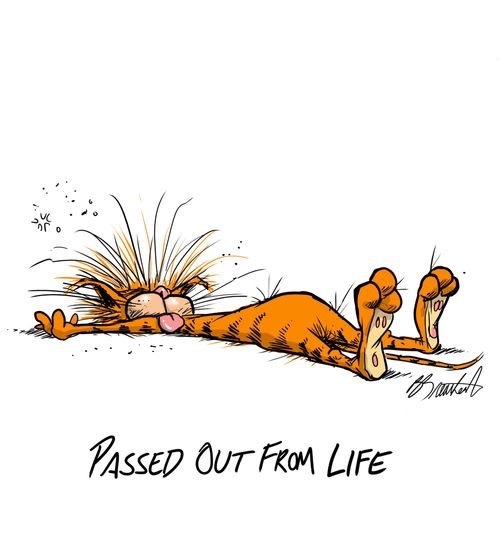 I frequently ended up like Berkeley Breathed's 'Bill the Cat' here below. So with the New Year upon us and no real change in my situation, I decided to look at opportunities for change. One of the big ones that people will/might notice is that I am taking a step back from social media. In 2015, I found it far too easy to let myself get drawn into Facebook, Twitter, etc., and pulled away from my work, so I'm retreating from front-line social media. I'll still be visible online, but the plan is to engage once a month rather than once every 30 minutes. Yes, it had become that bad at times. This should, I hope, mean more work getting done, and more consistently. So that's change No.1. The next change is in the division of labour. Full-time work remains full-time work and part-time PhD remains part-time PhD. There's not a lot I can do about those two, but the one that I can affect is the writing for role-playing games. Unfortunately, I'm going to be stepping back from writing for RPGs or games of all sorts over the next year. This is quite simply to allow me to have enough time to get the full draft of my PhD completed by the end of the summer. That's the plan. I really enjoy writing for games, but it does take a large amount of time to do it well. Change No.3 comes in the form of an opportunity to discuss my work with yet another published author. I am already very, very fortunate to be able to work with Beatrice Colin (who you might know from 'The Luminous Life of Lilly Aphrodite / The Glimmer Palace' (2008) or 'The Songwriter' (2010)) as my PhD supervisor. In 2016, I will also have a chance to work with Jenni Fagan, who wrote 'The Panopticon' (2012) and 'Sunlight Pilgrims' (2015). I'm really looking forward to this opportunity as I am extremely keen to finish the full draft of my novel in 2016. 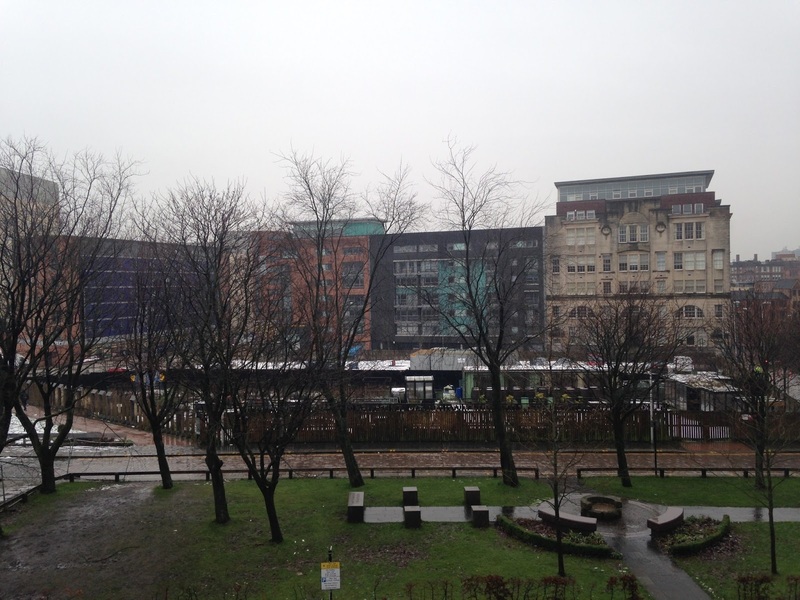 At the moment, I am trying to immerse myself as much as I can into the atmosphere and feel of 1920s Glasgow (where my novel is set). It is an interesting time and I'm enjoying discovering it through newspapers, articles, a couple of good books, and the few decent film records that exist. 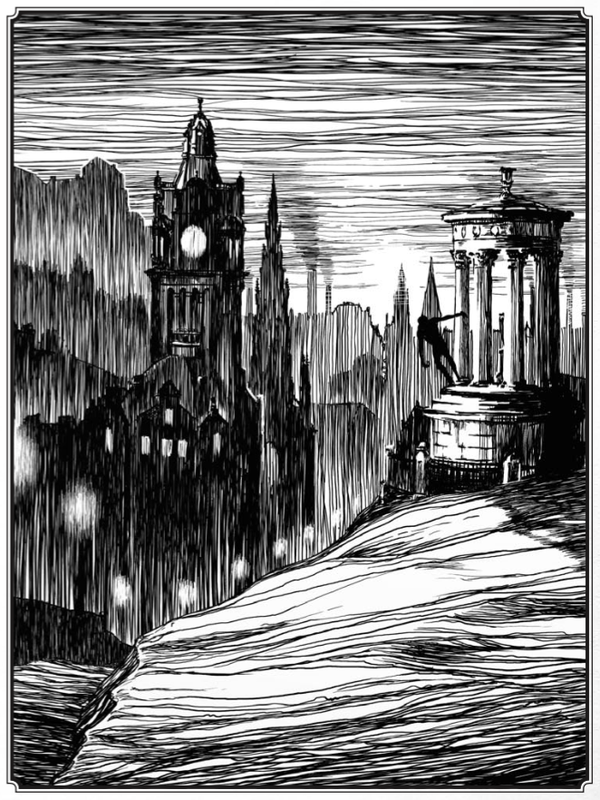 Of course, this isn't the first time that I've had to research 1920s Scotland (for 'Shadows Over Scotland', but it is the first time that I've really narrowed down my exploration to one city and its people. More on this in future posts, no doubt. For now, Happy New Year all! There are times when writing for games is a truly magical experience--even a transformative one. I have said in the past how wonderful it is to be able to work closely with artists and how much I admire their ability to bring life to text and ideas. Watching an artist interpret and transform the text you've written and take it into a new creative dimension is quite an extraordinary thing. Or at least, for me, it is. So imagine my delight then at having an artist--in this case, the talented Scott Purdy--take my likeness and transform it into artwork for an upcoming, storytelling card game. Well, you can see the results to the left and the transformation below. 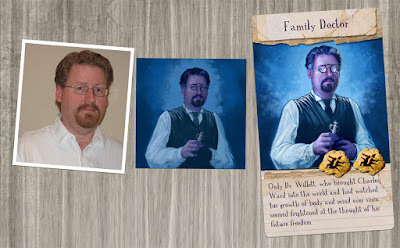 The 'Family Doctor' card here is part of the recently funded Cthulhu Tales game which I worked on with Francesco Nepitello and Marco Maggi, perhaps best known for 'The War of the Ring' board-game. In the game, players are inmates of an asylum desperately trying to convince doctors, police, or whomever will listen that you are, in fact, wrongly incarcerate and should be freed. Unfortunately for them, the other players are trying to escape as well and more than willing to throw hazards into the inmates way. 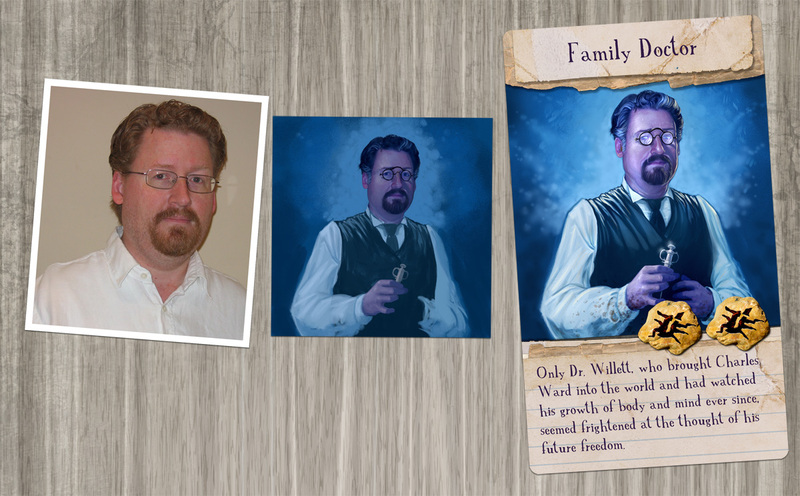 My unwholesome transformation into Dr Willett, Charles Dexter Ward's family physician, began with a simple photograph taken by my wife. This was whisked away to Mr Purdy's diabolical workshop and, voila!, my visage became that of the family doctor. You can see three stages of this transformation below. 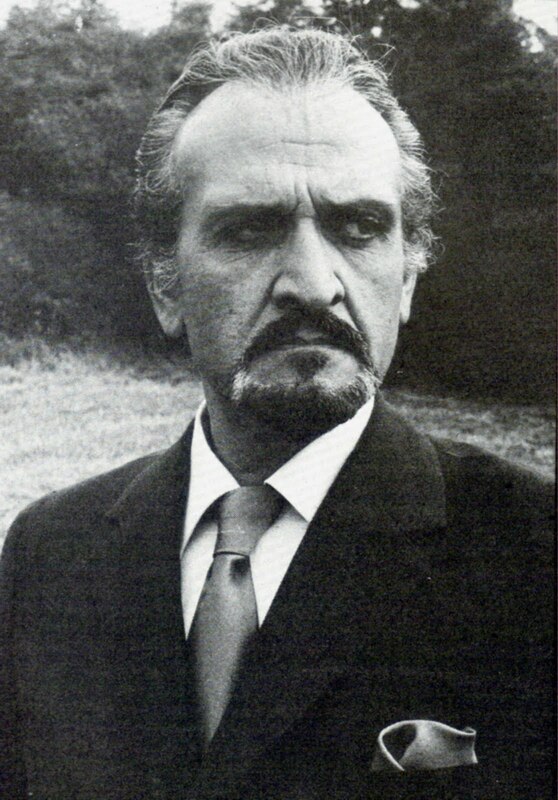 I love the resulting graphic and I am particularly fond of the final resemblance to the late, great Roger Delgado, 'The Master' of Doctor Who fame. (That's the old, classic 1970's Doctor Who serial, folks, pre-Eccleston/Tennant/Smith/Capaldi/etc.) Anyway, it's an amusing comparison, although Delgado's sinister look beats mine any day. 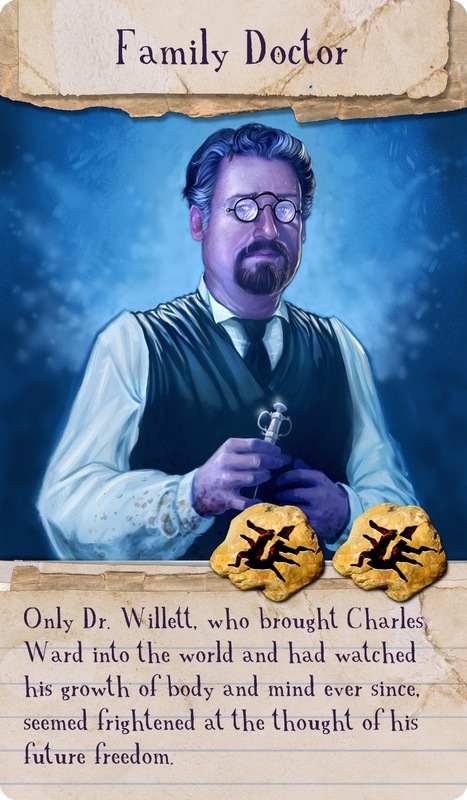 So, yes, writing for games might not bring you critical accolades, great wealth, or fame, but there are very real perks to be had in working with great people, producing great games, and occasionally being turned into a family doctor. Some months ago, I had the very real pleasure of working with Italian game designers Francesco Nepitello and Marco Maggi, well known for their award-winning War of the Ring game among many others. The project, at that time, that we were working on was called 'Arkham Tales' and, with a slight name change, that project has now come to Kickstarter as Cthulhu Tales. 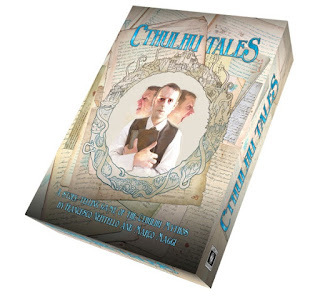 Cthulhu Tales by Cubicle 7 Entertainment. Working with these two Venetian gentlemen was a treat as I don't often get called on to work on card games. So it was a great opportunity for me to work in a different gaming genre. The results of my involvement can largely be seen in the titles and text on the cards. The game is being produced by Cubicle 7 Entertainment who I've worked with a great deal over the past five years and who have become synonymous with high-quality games since their inception. 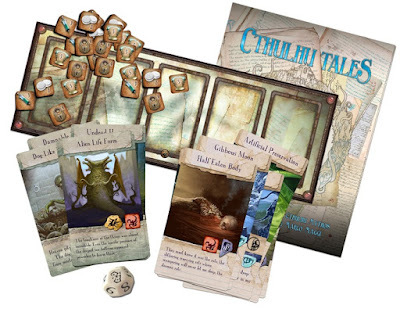 Having had the chance to play-test Cthulhu Tales with my friends, I have no doubt that Cubicle 7 has another hit on their hand here. As always, it was a real pleasure to work with the Cubicle 7 team and to see them turn a project into a thing of beauty. 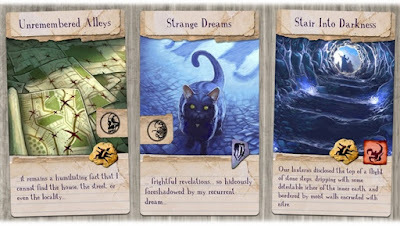 It is also really nice to see a narrative storytelling game like this making it to market. 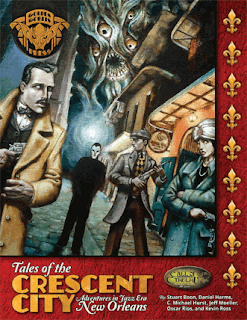 Add some willing conspirators and you've got all the components you need to spin Lovecraftian tales of your own. It's a lot of fun. Click the link below for Kickstarter page itself. And happy dreams! A quick post here to highlight the latest Bundle of Holding here. This latest offering includes a number of the books that I've worked on for Golden Goblin Press and Cubicle 7, including Tales of the Crescent City and World War Cthulhu. If you are not familiar with the Bundle of Holding, it is an opportunity to pick up a bargain on a few role-playing games--in this case, Lovecraftian horror-themed books for Halloween--and to support a charity. Follow the link to take a look. Ah, the mind is a wonderful thing. Except when it is actively derailing you, looking for stimulation from the open window, the sounds of laughter down the hall, or the ever-present screed of human experience on Facebook and GooglePlus. I'm talking about distraction here, but particularly the kind of distraction that a writer has to fight off while writing a long piece of work. Distraction is, quite frankly, a nightmare and a near constant problem for virtually every writer I know. Distraction leads to the Dark Side, to procrastination and generally getting less--or any--work done. But is it always so? Is that a 100% guarantee, a tarnished golden rule. Well, if you are like me, then the answer is... no. Distraction might well lead to time wasted 98% or even 99% of the time, but every once in a while--particularly I find while working on longer pieces--distraction can be generative, in a good way. Sure, it's dragging you off-topic, but sometimes the result is actually quite helpful or, at least, interesting. For example, whilst writing a piece of game fiction (usually working to a deadline), I might be distracted with daydreams of a work of Speculative Fiction or Fantasy. I used to actively try to shut these out, to focus on the work at hand, but increasingly I have been taking short breaks to write down the thoughts and ideas that come unbidden. Interestingly, as I've taken to doing this, these generative distractions have become more fruitful. "In that moment, he faced the darkness alone. The cold stone against his shoulders chilling him as the dull beat within his breast slowed. He lay helpless, bereft of any earthly protection. Time slowed around him. The all-encompassing shadow smothered him, stripping him of his senses, of all avenues of awareness—save for one. In that darkness, he was suddenly aware of the singularity of his soul. A mote of dust tumbling in a vacuum. And with that awareness came something else: the crushing realization of his own insignificance." The paragraph above is the result of a distraction-break I took while writing up a piece of academic policy. The mind, as I said above, is a wonderful thing. I don't count myself as particularly capable where multitasking is concerned, but clearly my subconscious was working away in the background while I was composing a Higher Education policy statement. Even more fortuitous is the fact that I believe I know where I can use this paragraph. So increasingly I am of two minds--there's a pun in there somewhere--about distractions. I cannot, and would not attempt to, deny that distraction as a whole is a major problem for writings. Indeed, I agree with that readily. But every once in a while, it proves useful, leads to something really interesting and useful. I now have a folder on my desktop full of ideas, random writings, and a few little vignettes. My hope is that, given time, I can come back to most, if not all, of these elements and find a place for this. For now, my lunch is over and that policy document is not going to write itself. I can only hope that my subconscious will be actively chugging away at some new creative idea and that I will have the opportunity to capture it, pop it in my desktop folder, and make good use of it sometime in the future. Stuart Boon // Writing in Progress. Picture Window theme. Powered by Blogger.